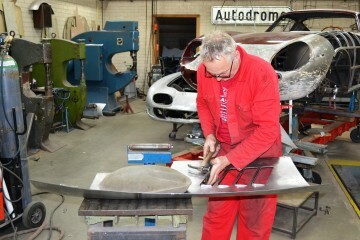 Maurice Labro’s workshop in the Brabant village Velp looks more like an artist’s studio then a garage. 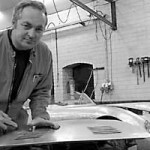 It is the masterpieces of the automobile history that he is working on: he restores handmade sports cars. 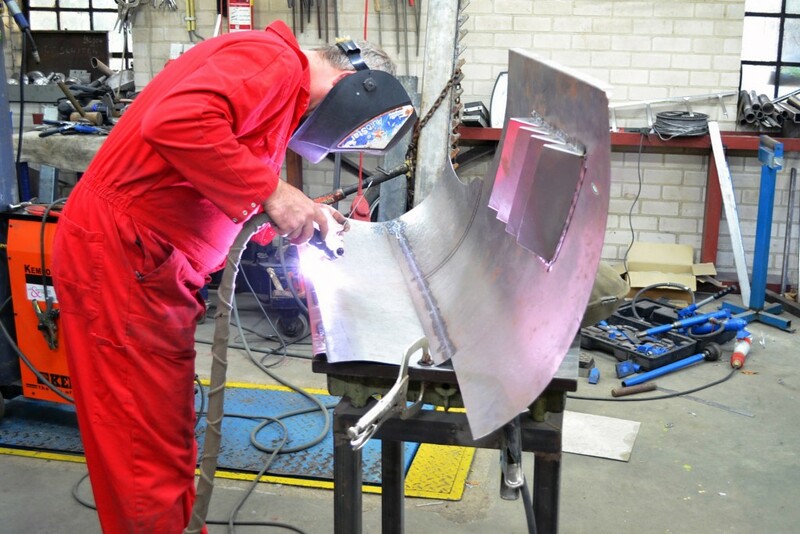 The restoration process starts with careful measuring and consecutive aligning of the chassis. On this basis, and on the available documentation, he draws up an action plan in consultation with the owner. Next, Labro sets to work, craftsmanly and with inexhaustible patience. 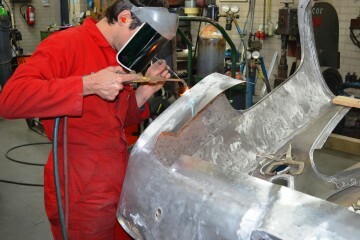 The chassis and coachwork components to be renewed are completely handmade so they meet all original specifications. With traditional machines and hand tools, such as heavy leather sandbag and mallets, Labro forms aluminium and steel into accurately fitting panels. This way, the most complex forms evolve under his hands, custom made to repair damaged parts or replace missing parts with authentic new ones. 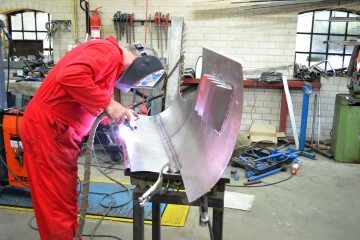 Labro even welds aluminium the classic way: by gas welding. The result of all these efforts can justly be called masterly: a completely original, classic automobile in perfect mint condition.